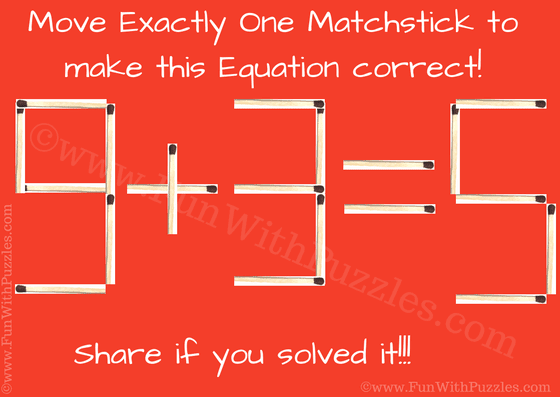 This Easy Mathematical Matchstick Puzzle is for school going Kids who are learning basics of Mathematics. This Puzzle will help kids to think creatively and understand Maths in fun way. In this Matchstick Puzzle, you have to make the given Mathematical equation correct by just moving exactly one matchstick. 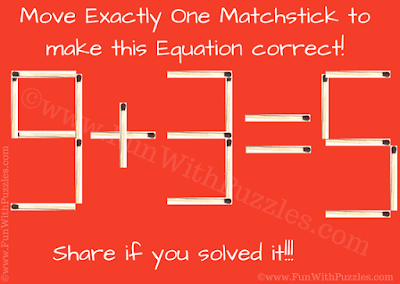 Please note that you are not allowed to use 'Not Equal to' sign to solve this Matchstick Brain Teaser. 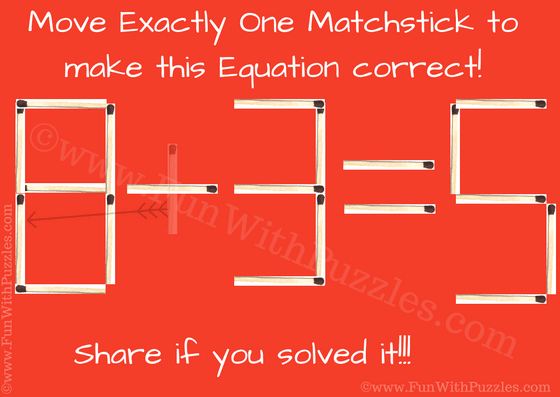 Can you solve this Easy Mathematical Matchstick Puzzle? Can you solve this Easy Mathematical Matchstick Puzzle? 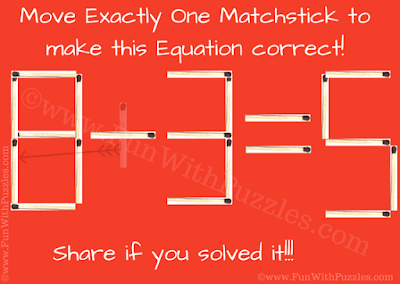 Answer of this "Easy Mathematical Matchstick Puzzle for Kids" can be viewed by clicking on button. Please do give your best try before looking at the answer. One of the possible answer is 8-3=5 as shown below in puzzle image. Post your comment in case you are able to find any other solution for this puzzle.